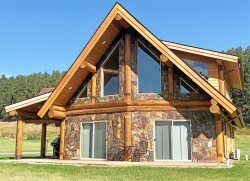 The Stewarts Cabin is located in a beautiful tree filled neighborhood within walking distance to downtown historical Custer. Relax outdoors with tree views or walk downtown to eat and shop. Hike, bike, or walk the famous Mickelson Trail (only a few minute walk away). With everything so convenient in a beautiful location, this cozy cabin will make it hard to leave. It features a full gourmet kitchen, inside and outside dining, 2 bedrooms, and 2 bathrooms. The team was always friendly and accommodating. Stewarts cabin is very nice, all the accommodations were there. Chairs, fire tower, BBQ Grill. Lots to do in the area, never a dull moment. Lots of fun! Time to lock the door. I know we Will be back soon. Such a well appointed home all our needs were met. From the booking to our stay here. Although, set close to the town, the home is nesseled under the hills. Peaceful and beautiful. Our vacation to the Black Hills would not have been possible without the assistance of the helpful staff. I was treated with respect and the extremely helpful staff was more than I expected. The cabin was extraordinarily clean and well furnished. Many details were attended to such as spices to cook, extra linens, a grill and plenty of dishes to be able to eat in as often as we wished. The location was tucked into a quiet neighborhood and very secure. We loved it!